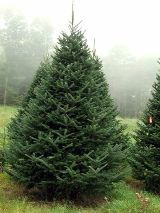 Balsam Fir: The Balsam Fir is a beautiful dark-green color with sturdy branches whose needles are not too sharp to decorate easily. It has an attractive form, it holds its needles well, and gives off a pleasant fragrance for your home. 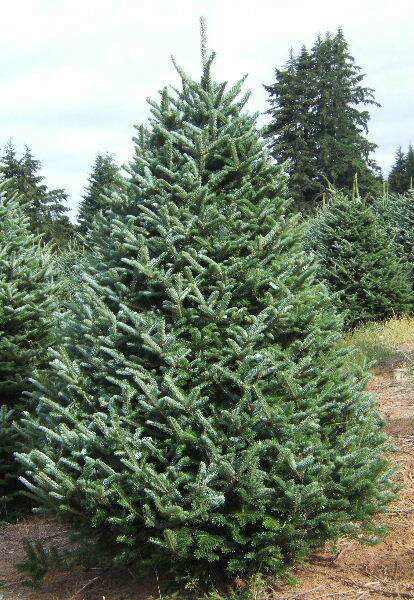 Fraser Fir: The Fraser Fir may be the perfect holiday tree. Its attractive 1" needles are silvery-green and soft to the touch. Because there is space between the branches, the Fraser is easier to decorate than some trees. The firm branches hold heavier ornaments. The trees grow to almost perfect shapes, and as long as the cut tree is kept properly watered, the Frasier Fir has excellent needle retention. 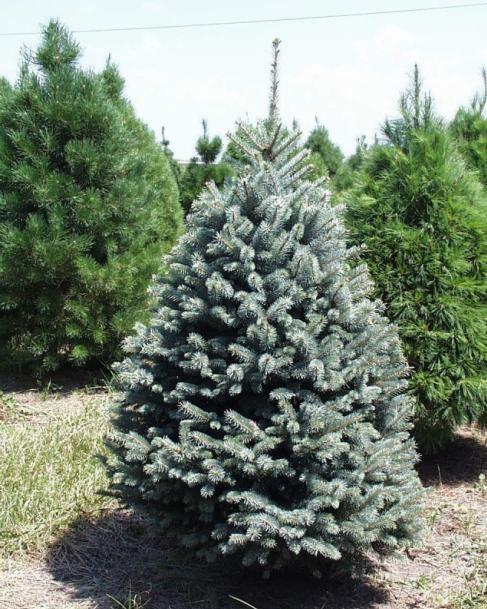 Blue Spruce: A Colorado Blue Spruce has a nice pyramidal shape with strong limbs that can hold heavy ornaments. 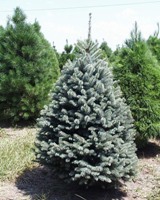 The Blue Spruce is known for its lovely blue foliage which can also appear silvery. 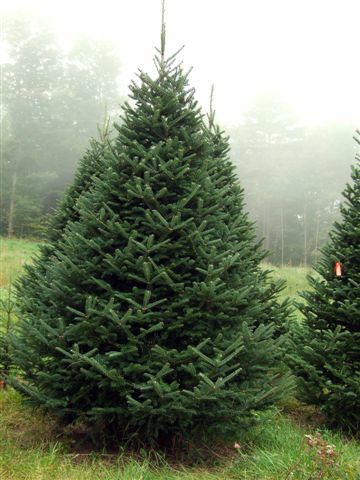 We start cutting trees the week of Thanksgiving and bring in new trees on a weekly basis. This process ensures you're getting the very freshest trees when you arrive at our farm. We continue to sell trees right up to Christmas day, so if you're a last minute shopper that's okay. Do a freshness test. Gently grasp a branch between your thumb and forefinger and pull it toward you. Very few needles should come off in your hand if the tree is fresh. Shake or bounce the tree on its stump. You should not see an excessive amount of green needles fall to the ground. Some loss of interior brown needles is normal and will occur over the lifetime of the tree. Before you set up your tree, make a fresh, straight cut across the base of the trunk (about a quarter inch up from the original cut) and place the tree in a tree stand that holds a gallon of water or more. In addition, keep your tree away from heat and draft sources like fireplaces, radiators and television sets. Test your light cords and connections before hanging them on the tree to make sure they're in good working order. You don't want to use cords with cracked insulation or broken or empty sockets. Also be sure to unplug the lights before you go to bed or leave the house. Never overload electrical circuits.